Get ready for the Bumping and Pumping package! This unique package brings together some ridiculousness, some sightseeing, and some downright excellent views. 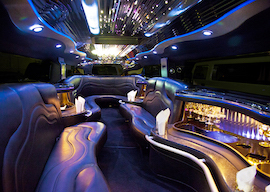 From bubble soccer, to a tour of the neighborhood in your very own stretched hummer, to an awesome night amid Wellington’s lively party scene, you won’t soon forget this night. First things first, let’s get you checked in to your accommodation! 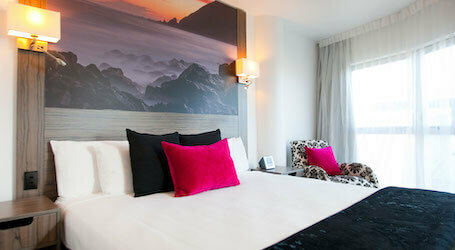 This stylish four-star hotel lies within easy reach of Wellington’s downtown core. From within its 1 and 2-bedroom apartments, you will enjoy free Wi-Fi, kitchenettes, and LCD flat screens to keep you entertained. Fully serviced, you will want for nothing. 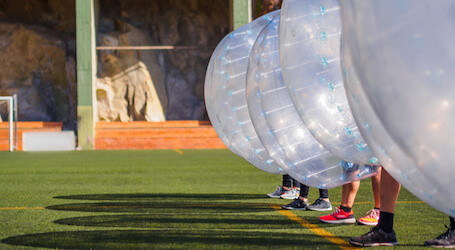 Have you ever played bubble soccer before? If you aren’t familiar, this activity is some of the most fun you can have with your clothes on! Suit up two teams in these massive suits, and it’s game on. Remember, you can play the ball – but it’s more fun to play the man! Losing team is on the hook for the first few rounds, so get to it! 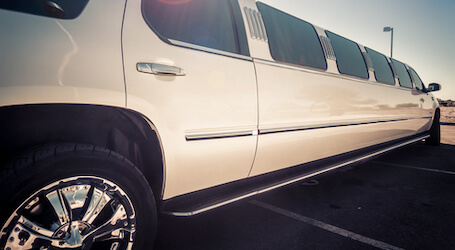 Now that you’ve got your share of competition, it’s time to tour this fine city in your very own stretched hummer! Over the next hour, you’re going to enjoy the amazing sound system of this well-appointed vehicle, complete with lighting effects, and get your night started properly. 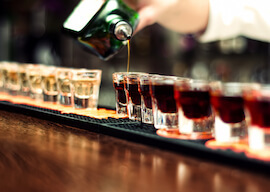 Just don’t forget to bring a few cheeky beverages for the ride! Of course, no good Bucks party is complete without a little bit of skin. To wit, you’re headed to one of the finest strip clubs to be found anywhere, to enjoy a free drink on arrival and one of the finest shows around! With the tunes cranking and a truly beautiful view in front of you, your Buck will surely be weeping for his lost bachelorhood by the end of the evening. A great finish to an awesome day!